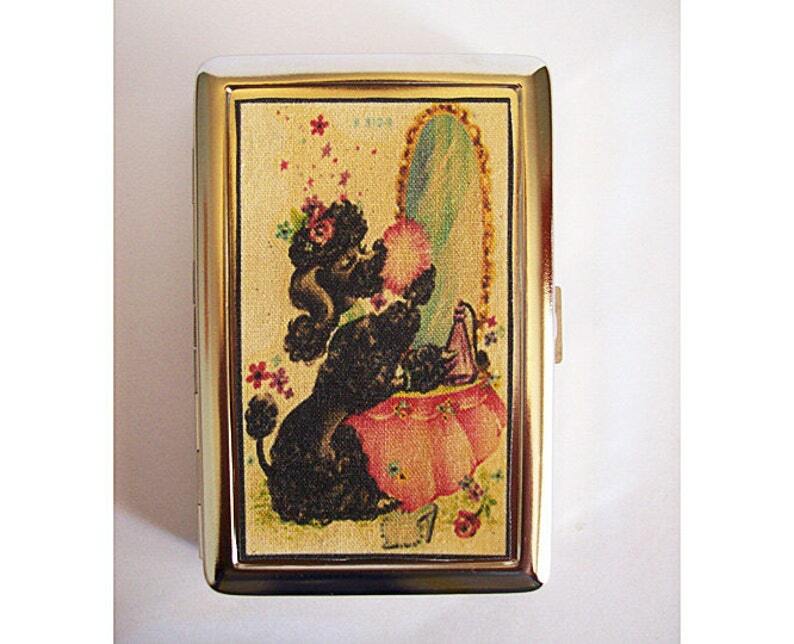 Add a little rockabilly kitsch to your daily routine with this retro metal wallet featuring a vintage 1950s era poodle in all her glory. This case also works well as a business card holder, for IDs and also as a cigarette case. I make my cases by first transferring the image onto a lightweight canvas with an industrial heat press. I then spray on scotch guard and attach to a brand new stainless steel case. The final result is a liquid and dirt resistant product thats ready for years of use. Very cute! It came quickly and was well-packaged. I got it for a gift and I think my friend will like it! Very cute and arrived very quickly. Thanks!